Use The Power of 3D to Apply Amazing Contrast, Depth, and Dimension to Your Portraits in Photoshop! Learn how to make the images pop by generating three-dimensional bump maps. In this tutorial, we have two examples to illustrate how to automatically add the highlights and shadows to just the right places very easily, and create intricate details to make the image come to life. The Nikon Z 6 with Z 24-70mm f/4 S Lens is in stock at B&H and Adorama with free expedited shipping. In this episode you will learn about producing your own sound effects which is also known as creating a Foley. Image quality (noise) test results have been added to the Nikon D850 page. Note that these images were processed in their respective brand's RAW converter (Sony-blessed Capture One Express for Sony was used for the a7R III results). With a sharpness setting of one (our current Nikon and Canon standard), the Canon appears undersharpened. Also note that I updated this tool to permit additional scenarios, including not-full-stop ISO settings for some cameras. The D850 (and Z 7) results have ISO 32 (extended) and ISO 64 included and (I'm sure you have been anxiously awaiting this) ISO 40000 results for the EOS R are now included. Please report any problems found. Please share these results with your friends with Nikon-based kits! 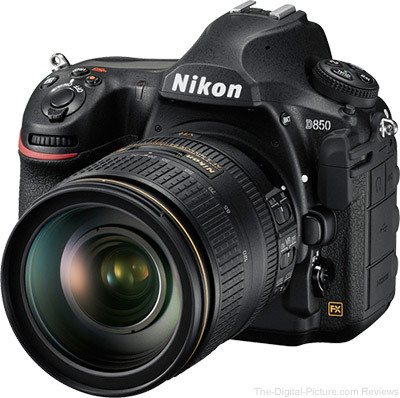 The Nikon D850 is (finally) in stock at B&H | Amazon | Adorama | WEX (preorders). Great deal: Save nearly $330 on the D850 in 10-condition at B&H used. 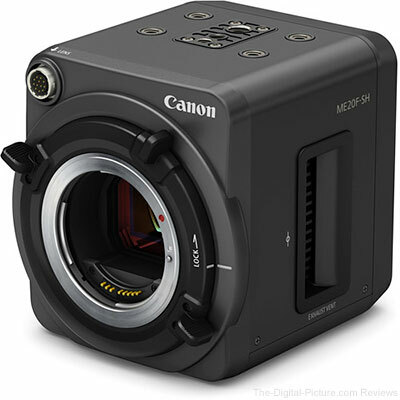 Canon has released firmware updates for their ME20F-SH and ME200S-SH multi-purpose cameras. See below for details. B&H carries the Canon ME20F-SH and ME200S-SH multi-purpose cameras. 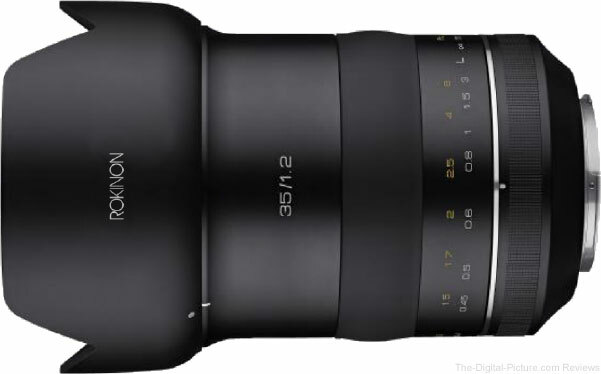 (New York, New York) November 28, 2018 - ROKINON has introduced its new Special Performance (SP) 35mm f/1.2 Full Frame Lens for Canon EF mount. Designed for professional and advanced amateur Canon users, it joins the ROKINON SP 14mm f/2.4, SP 50mm f/1.2 and SP 85mm f/1.2 lenses. This premium quality prime lens yields extraordinary image quality for 50 megapixel photos and 8K (8192 x 4320) video productions. It features a moderate wide angle of view with Full Frame Canon DSLRs and works as a “normal” lens with APS-C sensor models. Delivering superb optical performance even wide open, the impressively bright f/1.2 aperture and nine blade diaphragm provide selective focus control, beautiful bokeh, and starburst effects. It is a perfect lens choice for capturing a broad range of subjects in vivid colors and exceptional high resolution images such as nightscapes, portraits, architecture and anything in difficult lighting conditions. The optical design of the ROKINON SP 35mm F1.2 boasts 12 elements in 10 groups and incorporates Extra-Low Dispersion, Aspherical and High Refractive lens components to ensure impressive image quality. Constructed of high quality aluminum alloy with an ergonomically designed shape and focusing control/grip, it delivers a luxurious look, excellent durability and comfortable use Additional features include an intuitive, damped and precise manual focus control, Canon’s exposure control modes are enabled, EXIF info is registered, and a non-rotating filter mount. The new ROKINON SP 35mm F1.2 Full Frame High Speed for Canon EF mount will be available from authorized ROKINON dealers in January 2019 with a MSRP of $999.00. Taipei, Taiwan—November, 28th 2018 — CyberLink Corp. (5203.TW), the world’s leading consumer multimedia software company, today released PhotoDirector 365, the subscription version of CyberLink’s award-winning photo editing software, PhotoDirector. PhotoDirector 365 ensures subscribers always get the latest product and feature updates, as well as unlimited access to an ever-growing collection of premium add-ons, templates & unique AI Style Packs, offering the best photo editing and creation package available. PhotoDirector 365 provides a comprehensive and robust photo editing solution with easy-to-use tools, streamlined workflow, and point-of-use tutorials. It incorporates a variety of PhotoDirector’s powerful editing tools like Layer Packs, HDR, Black & White and Split Tone Presets, Motion Still, Keystone Correction, and 360° photo editing. It comes with the latest advanced features in the recently released PhotoDirector 10 Ultra, including the support of AI Style Effects, Tethered Shooting and Soft Proofing. Subscribers will be able to turn their photos into works of art, and enhance their photography editing workflow. 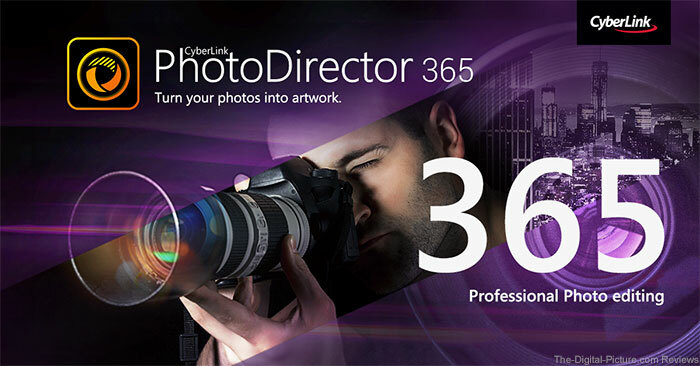 PhotoDirector 365’s subscribers have unlimited access to a wide and growing collection of CyberLink’s premium add-ons. They include AI Style Effects for Oil Paintings, Mosaic Art, Pencil Sketches and Watercolors, Express Layer Template Packs for multi-layer projects, and background music to create slideshow videos. A number of new style packs are released every quarter, providing PhotoDirector 365 subscribers with hundreds of dollars’ worth of unique tools throughout the life of their subscription. The above products are available in select retail outlets worldwide in the following languages: English, French, German, Italian, Spanish, Dutch, Chinese (Simplified and Traditional), Japanese and Korean. B&H carries CyberLink PhotoDirector 10. Image quality (noise) test results have been added to the Nikon Z 6 page. Note that these images were processed in their respective brand's RAW converter (Sony-blessed Capture One Express for Sony was used for the a7 III results). With a sharpness setting of 1 (our current Nikon and Canon standard), the Canon appears under-sharpened. 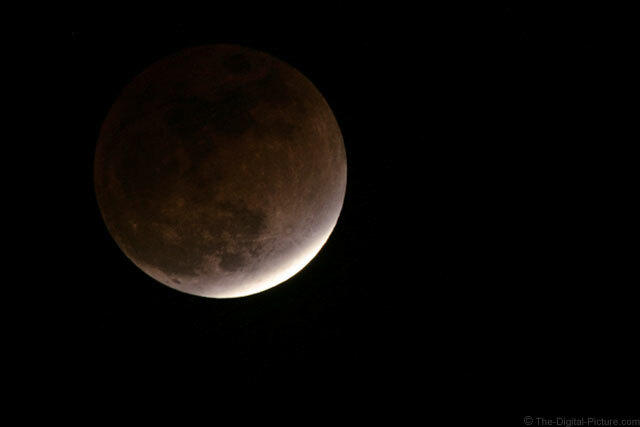 Note that I'm sharing ISO 50 results for this camera. 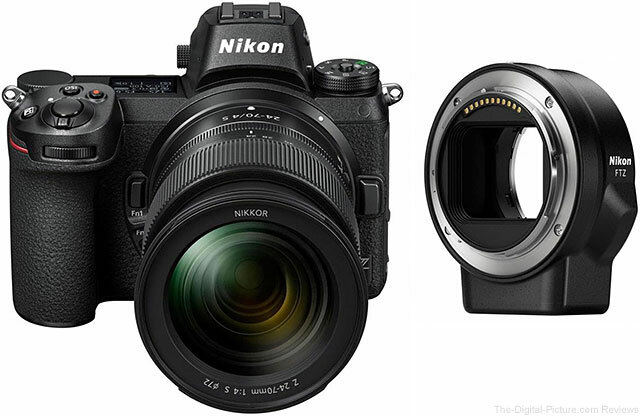 The Nikon Z 6 is in stock at B&H | Amazon | Adorama | WEX (preorders). B&H has what looks to be a new, exclusive, high-end brand of carbon fiber tripods available – Robus. It will be interesting to see how the Robus Vantage tripods stack up against the established brands in this segment, including Gitzo and Really Right Stuff. Image quality (noise) test results have been added to the Nikon Z 7 page. 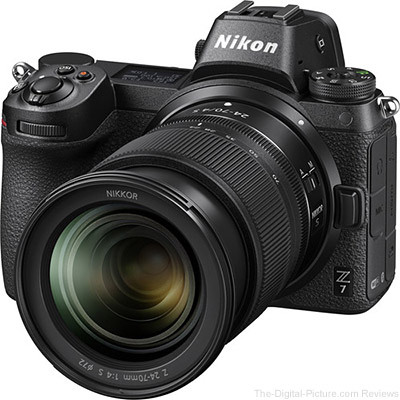 The Nikon Z 7 is in stock at B&H | Amazon | Adorama | WEX (preorders). Great deal: Save up to nearly $700 on the Z 7 at B&H used, including an "Open Box with full manufacturer warranty" option with $400 savings (I took this option to get the test camera). In Ep143 of Two Minute Tips, David Bergman shows you how to get reflections under your subject using clear sheets of acrylic. 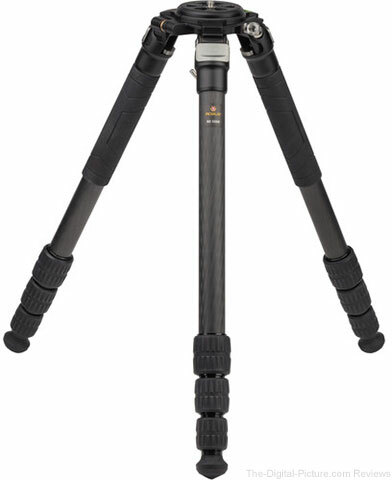 Just posted: ProMediaGear TR344/TR344L Pro-Stix Carbon Fiber Tripod Review. If you appreciate high-precision USA CNC-machined photography accessories have not heard of ProMediaGear, add this name to your brand name short list. And with a 10% off Cyber Monday discount at B&H and Adorama, there's never been a better time to get a ProMediaGear tripod (sale ends tomorrow at midnight). 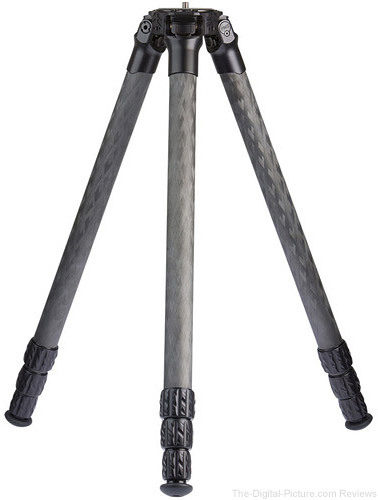 The ProMediaGear TR344/TR344L Pro-Stix Carbon Fiber Tripod is in stock at B&H | Amazon | Adorama. It's Thanksgiving and We're Thankful for You! Earlier this month – November 6, to be exact – we quietly celebrated the site's 15th birthday. Bryan sent me an email to let me know about the momentous occasion, but neither of us had the time to create a post to announce that the site can now get a learner's driving permit in 23 states. Of course, being busy is a good thing. With that in mind, as we prepare to enjoy Thanksgiving with our own families, we wanted to take this moment to convey our thankfulness for you and the friendship that so many of you have offered. We so much appreciate you stopping by the site all these years and for your support. We're extremely fortunate to be able to share our love of photography and photography gear with you and we hope to be here for you for many years to come. Permalink: It's Thanksgiving and We're Thankful for You!